The first Presidential Alert was surprisingly presidential. Just a few minutes ago, Americans received a message from their president. 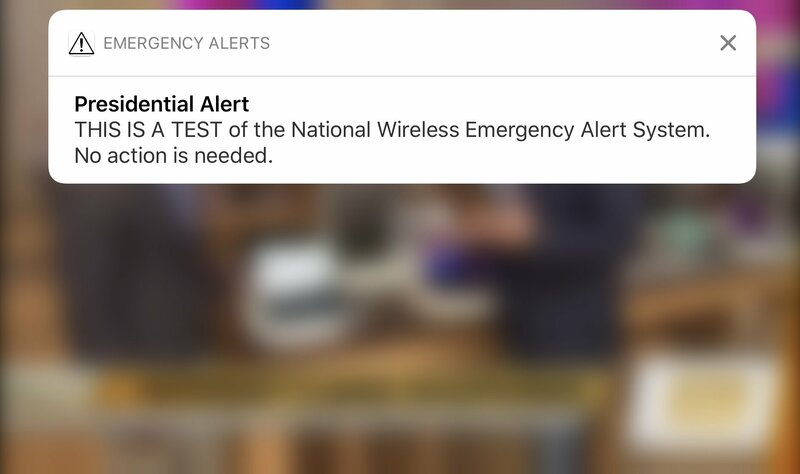 President Trump sent the following notice to all smart devices with wireless connectivity in the United States. This alert from the president was surprisingly presidential and didn't include any nudes. 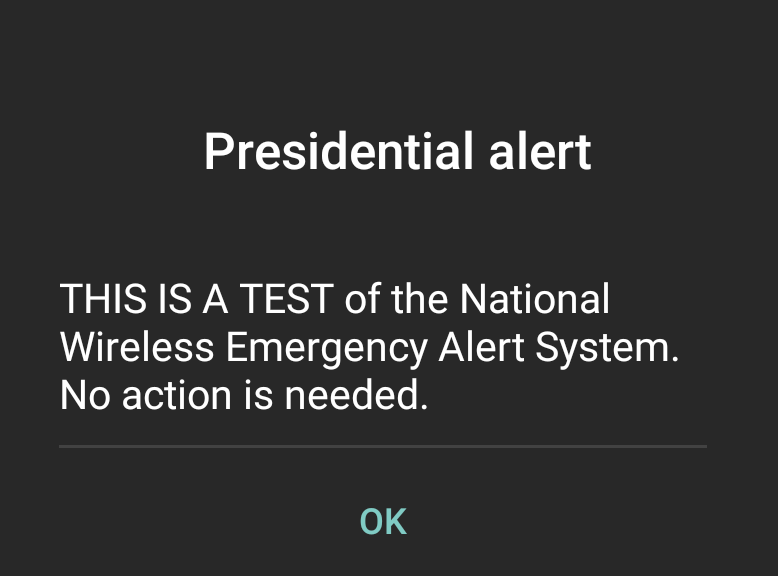 No action is needed at this time, and it seems to function a lot like the Amber Alert system on smartphones. Hopefully, we won't ever have to see another message on our phones from President Trump that is not in the form of a tweet. We are also happy that this Trump dump wasn't a picture of his junk. Asif Khan is the CEO and majority shareholder of Shacknews. He began his career in video game journalism as a freelancer in 2001 for Tendobox.com. Asif is a CPA and was formerly an investment adviser representative. After much success in his own personal investments, he retired from his day job in financial services and is currently focused on new private investments. His favorite PC game of all time is Duke Nukem 3D, and he is an unapologetic fan of most things Nintendo. Asif first frequented the Shack when it was sCary's Shugashack to find all things Quake. When he is not immersed in investments or gaming he is a purveyor of fine electronic music. Asif also has an irrational love of Cleveland sports. "Yo guys be sure to follow my channel and please hit that like & subscribe button. Also, Kanye - hmu. -DT"